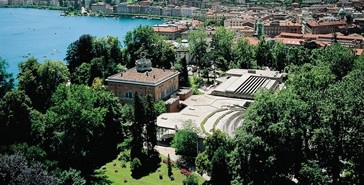 The HPC Advisory Council and the Swiss Supercomputing Centre will host the HPC Advisory Council Switzerland Conference 2013 in the Lugano Convention Centre, Lugano, Switzerland, from March 13-15, 2013. The HPC Advisory Council is a large eco-system organizations which focuses on bridging the gap between high-performance computing use and its potential, bringing the beneficial capabilities of HPC to new users for better research, education, innovation and product manufacturing, and brings users the expertise needed to operate HPC systems, provide application designers with the tools needed to enable parallel computing, and to strengthen the qualification and integration of HPC system products. The HPC Advisory Council will be presenting at the workshop, as well as distinguished speakers from the HPC research organizations and vendors.